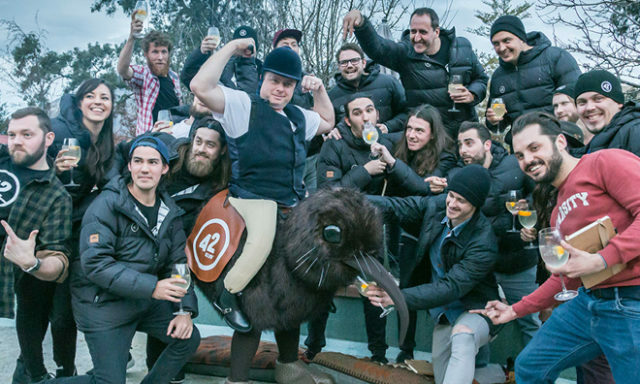 The Kiwi eco-masterminds at 42BELOW Vodka are challenging Australia’s young entrepreneurs and creatives to innovate their way to a purer planet. They’ve invited 150 Aussies to join them at the 42BELOW Junket 2016 starting tomorrow, September 25th. The three-day “unconference” will be held at the QT, Canberra. With New Zealand’s positioning on the 42nd parallel and its benchmark for air purity worldwide, Kiwi brand 42BELOW’s vodka is created with AA rated spring water, distilled four times and filtered 35 times to create an unparalleled purity and rounded smooth character. Carrying on the brand’s ethos of purity and environmental appreciation, 42BELOW endeavours to keep the Earth green. The Junket challenge follows the 42BELOW Cocktail Earth Cup, a sustainability-focused competition that tested Aussie and Kiwi bartending teams in cocktail-making, showmanship and dedication to sustainable bar practices, held in August this year. James Millar and Cameron Attfield from The Gin Room in Auckland took out this year’s competition wining title held in Queenstown, New Zealand. The Junket will now look to showcase the ideas that the future leaders can bring to the table, with Briars leading kicking off the unconference with a Pure Thinking session that will invite attendees to find ways to keep the planet pure. Drinks World looks forward to seeing what these young eco-preneurs come up with.